Ronald Maio, DO, MS, FACEP founded and directed the University of Michigan Injury Research Center, and was PI for the Great Lakes Node of the Pediatric Emergency Care Applies Research Network. 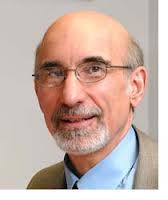 He is currently Professor Emeritus in Emergency Medicine at the University of Michigan Medical School. On my recent trip to Ghana this past August, much of the country’s concern, and rightfully so, was focused on the Ebola crisis raging within its neighboring countries. However, the day before I returned to the US, the pernicious problem of death and disability from traumatic injuries, a problem that is my particular research interest and that of my mentees, came to the fore. There was a tragic road accident involving three mini-vans outside of Kumasi on the Kumasi to Accra Highway. Twenty-three people died and 11 others were injured. Twenty-one of those people were dead at the scene and two died in hospital. The dead and injured consisted primarily of young adults and children. Death and disability from traumatic injuries, particularly road accident related injuries, have become a leading cause of death and disability in the developing world, and continue to be a major cause of death and disability within industrialized countries. The overwhelming majority of its victims are those that are in the early years of their productive adult life. As an emergency physician, a large portion of my training and practice focused on the evaluation and treatment of patients with traumatic injuries. My early research also focused on this area, but I eventually realized an important fact that the above described accident illustrates: most of the people that die from traumatic injuries, particularly road accidents, die immediately from catastrophic injuries. Most notably these are severe brain, cervical spinal cord and thoracic aorta injuries. While I knew the importance of timely and high quality medical care for the injured patient, it became clear to me that I wasn’t doing enough. I needed to include prevention activities in my practice and in my research. My thinking was strongly influenced by the concepts of primary, secondary and tertiary prevention and the Haddon Matrix for injury control. This matrix can be applied to all injury events but was initially used for road accidents. It helps organize factors leading to an accident, and by filling the cells of the matrix one can develop both general and specific strategies for intervention. At the time my perspective was broadening there were still many silos in the US addressing injuries from road accidents: it’s an engineering problem; it’s a policy problem; it’s a regulation problem; it’s a law enforcement problem; it’s a health behavior/ health education problem; and of course, it’s a medical problem. Thanks to the CDC’s National Center for Injury Prevention and Control and my early mentors and colleagues, I came to realize that death and disability from traumatic injuries is best addressed as a public health problem that requires co-ordinated multifaceted solutions. I began to collaborate with other Departments within the University of Michigan Medical School (UMMS) as well as the UM School of Public Health, the University of Michigan Transportation Research Institute, and the School of Pharmacy. Although my research in acute trauma care continued, I also began conducting research on using computer technology to identify alcohol problems and intervene among the complete range of injured adults and adolescents presenting to the Emergency Department. An underlying concept was our perspective that a visit to the Emergency Department for an injury was a “teachable moment” to address risky behavior that could result in future injuries. Subsequently, my colleagues have expanded our work on alcohol problems to include addressing risk factors for inter-personal violence and seatbelt use. In the US, during the last 20 years, there has been a dismantling of the aforementioned “silos” and the growth of inter-disciplinary collaboration: essentially a team approach to the public health problem of traumatic injuries from road accidents. As we help fellow global citizens in developing countries address the problem of traumatic injury in a sustainable fashion, we need to take a similar team approach. A great example of such an approach is the work that Dr. Charles Mock, a trauma surgeon from the University of Washington (UW), and his colleagues at the UW and in Ghana have been doing in the area of traumatic injury. Their work not only addresses acute clinical care issues, but also behavioral and environmental risk factors and is inter-disciplinary in nature. We are fortunate to have the work of Dr. Mock and his colleagues on which to build and be informed, as well as his assistance with studies on quality of trauma care and also development of a trauma registry at Komfo Anokye Teaching Hospital (KATH), Kumasi, Ghana. These projects were headed and recently completed by Dr. Rocky Oteng, faculty in the UMMS Department of Emergency Medicine, during his Fogarty Research Fellowship. We are also conducting a project to determine the frequency of alcohol use and risky drinking among trauma patients presenting to KATH. This work is being conducted by a current Fogarty Fellow, Andrew Gardner, an M-3 at UMMS. We are also very fortunate to have the collaboration and co- leadership on these projects from the Director of Accident and Emergency (A and E) at KATH, Dr. George Oduro, and A and E faculty member Dr. Paa Kobina Forson. We think our work will have implications not only for acute clinical care but also for policy and prevention activities. We also think it will serve as a platform on which to further develop a sustainable research enterprise to reduce death and disability from traumatic injury in Ghana as well as the rest of Sub-Sahara Africa—and beyond! My colleagues at the University of Michigan and our Ghanaian colleagues at KATH are very excited about our work and also very excited and proud to be part of the Global Team to reduce death and disability from traumatic injuries.